With that, this unlikely Greeley trio launches into a sophisticated indie-pop record that sounds like someone put Esmé Patterson in a blender with Too Many Zoo’s Lou Pellegrino (that crazy dancing baritone saxophonist who went viral for busking in New York subway stations a few years ago). Claxton, who plays electric ukulele, while deftly handling the band’s vocals, is joined by baritone saxophonist Hayden Farr and drummer Brian Claxton. Throughout the joyous 11-song record, Farr’s sax work serves as a punchy backdrop to Claxton’s singing, punctuating the track’s basslines in ways that a four-string couldn’t approach. 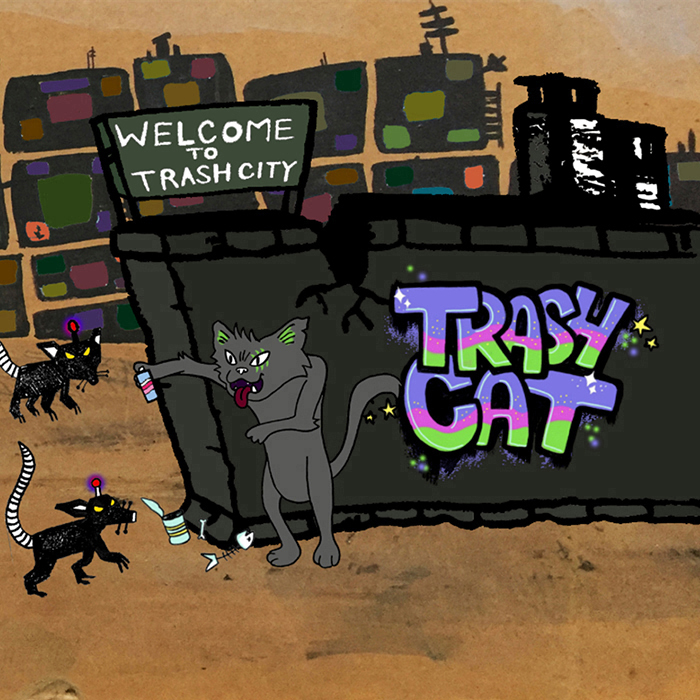 Welcome To Trash City was, according to the band, “inspired by life, cartoons and geek culture.” The track “Robot Girlfriend” is dedicated to LeVar Burton, while “Full-Time Lover” is dedicated to Bowie (and does harken to the great sax parts of The Thin White Duke’s classic “Young Americans.”) And “Connie’s Song” is dedicated to Rebecca Sugar, the creator of the Cartoon Network’s “Steven Universe,” for which Sugar, as an animator, director, screenwriter, producer and songwriter became the first woman to independently create a series for the network.